Crescent Wiss® is a premier scissors, snips, and specialty trade tools brand from Apex Tool Group, one of the largest hand tool manufacturers in the world. Crescent Wiss® has been the leading brand in aviation snips for over 50 years, driven by two principles: performance and durability. They aput the same qualities into every product in its line. Wiss® puts those same qualities into every product in its line. 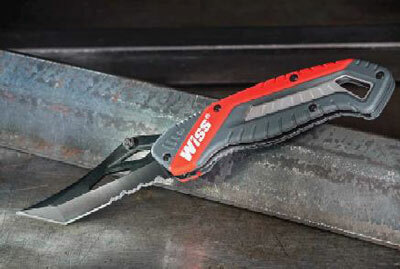 So no matter what Wiss® tool you use, you can count on getting exceptional performance and long life.